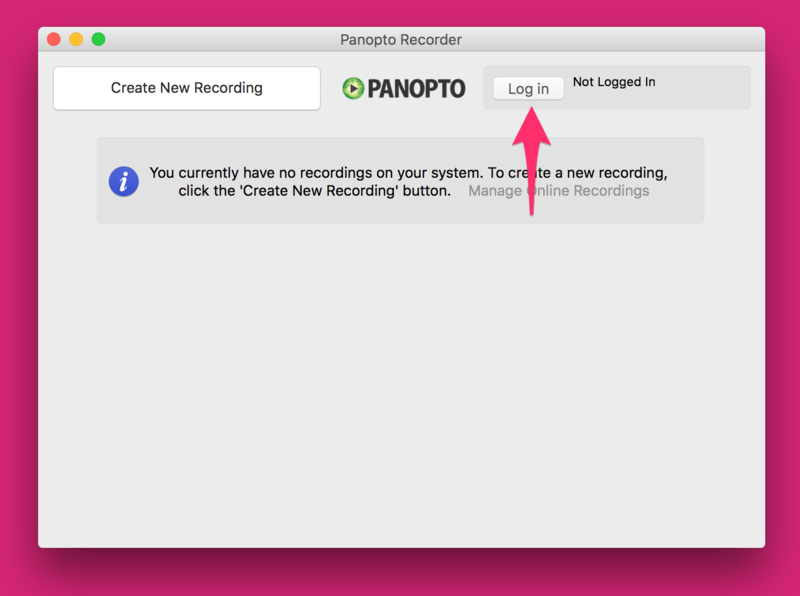 If you record Replay sessions on your own computer, you’ll need to change the recorder so that it points to the new address. 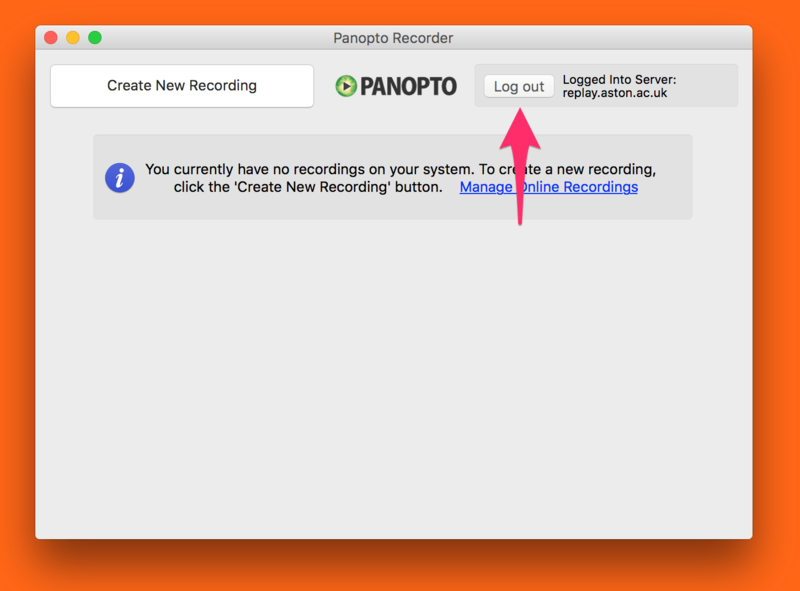 The server address has changed from replay.aston.ac.uk to astonreplay.cloud.panopto.eu. Read on for instructions for OS X, the instructions for Windows are at the bottom of the page. You’re recorder is now pointing to the new Replay. 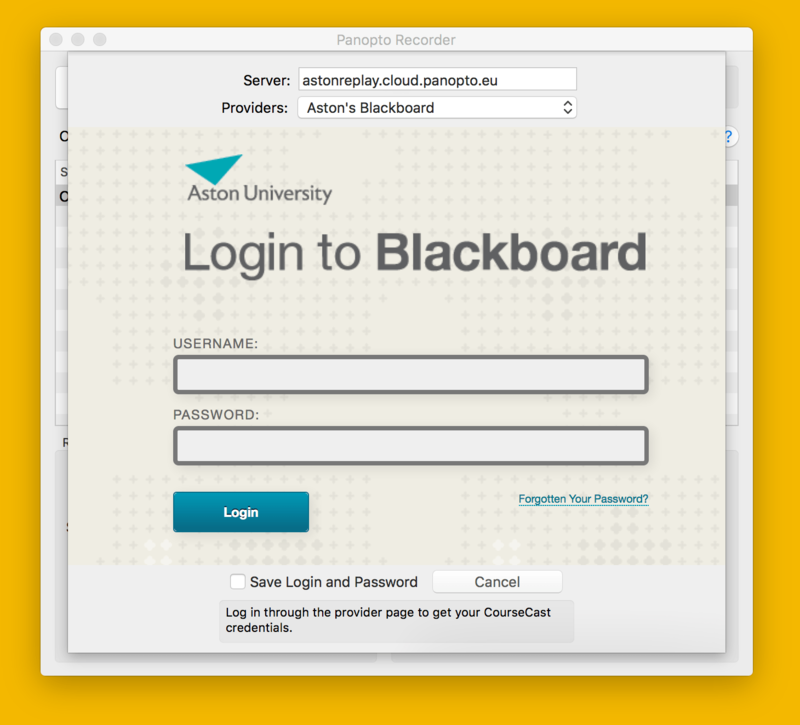 Click Log in with Aston’s Blackboard and log in as you normally would.